Ansaldo was an Italian car manufacturer that existed as a spin-off of a very old Italian engineering company known for armaments and railway components. When they were absorbed in 1993, they were one of Italy’s oldest companies. The car manufacturing period only lasted from 1919 through 1936. The company built a few different models over its short life, with the Tipo 14 being new for 1928 (and not lasting long thereafter). It uses a 1.8-liter straight-four making 36 horsepower. In 1932, Ansaldo cars was absorbed by OM and they ran out production of Ansaldos through 1936. The car offered here could be the only one like it left. The Tipo 14 was not the most popular model and Ansaldo only built between 1,000-2,000 cars per year. So Ansaldos in general are extremely rare. This one should bring between $75,000-$92,000. Click here for more info and here for more from Bonhams. 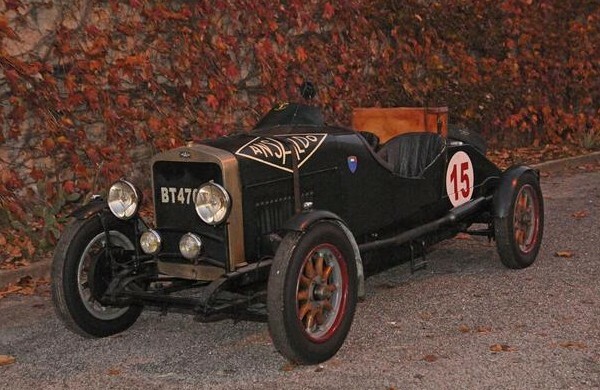 This entry was posted in Uncategorized and tagged 1928, ansaldo, auctions, Bonhams, cars, classic cars, sports, tipo 14 by classiccarweekly. Bookmark the permalink.